Dragon Quest XI reveal next week? Well isn’t today just full of news from out East. File this under rumor for now but the Wall Street Journal (never thought I’d source them in TAY) is reporting a new numbered Dragon Quest title will be revealed by Square Enix next week. Presumably this will be a seperate title from the previously announced Minecraftesque Dragon Quest Builders that fans of the series seemed less then enthused about. 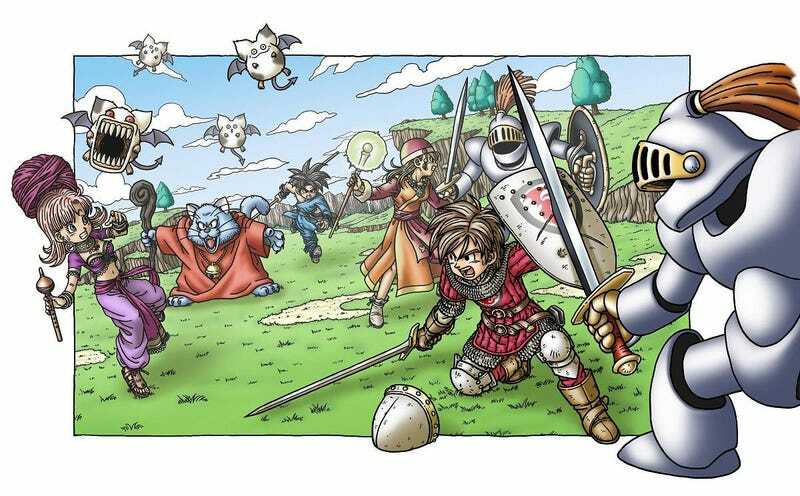 Considering its been 6 years since the last proper Dragon Quest title in Dragon Quest IX: Sentinels of the Starry Sky for the Nintendo DS as Dragon Quest X was an MMO this could be big news for fans of the series. Of course as it stands now very little is known of the potential title including platforms. However considering there was a bout of DQXI rumors about two weeks ago saying the new entry will be for home consoles we may be looking at the first proper HD Dragon Quest. Even if none of these pan out we can probably still count on the 3DS ports of DQVIII (Again if those rumors pan out). Anyways I know I’m personally hoping for a full PS4 release. Regardless it seems Dragon Quest is experiencing a kind of renesence of late especially after Heroes and personally that’s a good thing where I’m coming from.